Contains Soy. Produced on equipment that also processes milk, wheat, peanuts, eggs, fish, shellfish, almonds or other tree nuts, or soybeans. Sugar, Natural Flavors, Citric Acid, Malic Acid, and High Purity Steviol Glycosides (Stevia), and Beet Juice (Color). 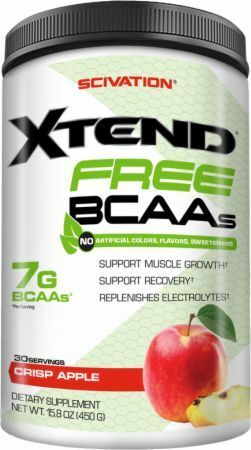 Jan 29, 2016 Scivation Xtend Free Review – Stevia’s Gettin There!